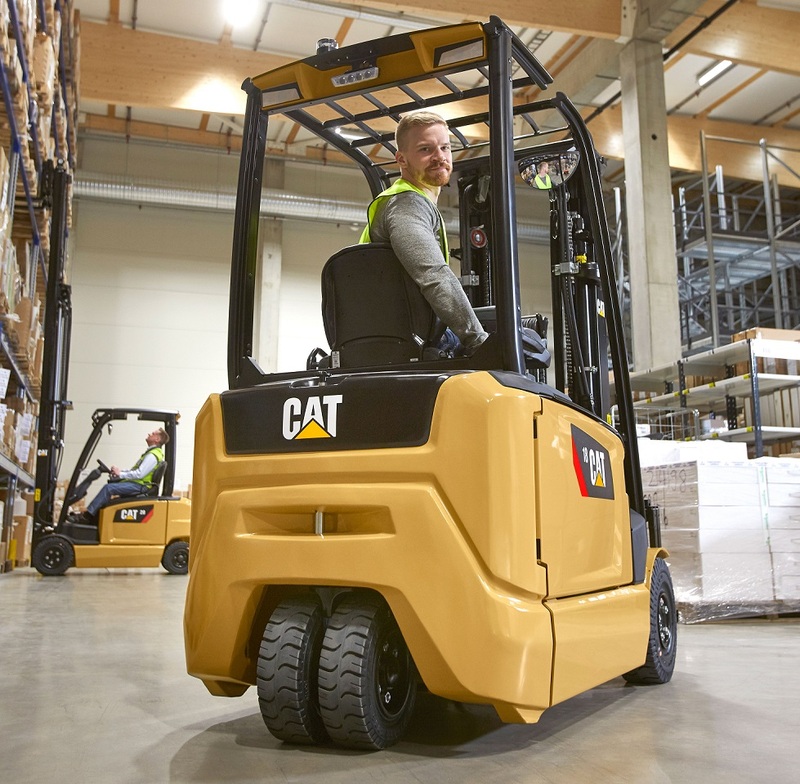 The Cat® EP14-20A(C)N(T) 48V is a revolutionary electric forklift. Featuring unique 360° steering, it has been designed to satisfy the driver’s wishes and needs completely. This year a record total of 5500 products from 50 different countries were tested by the jury on site in Germany, and from these the winners were selected. This is the first counterbalance lift truck ever to offer 360° steering, which makes turning extremely agile. It allows the truck to be turned in the opposite direction (180°) without stopping, which speeds up work and keeps the load stable in swift turns without swinging sideways. Agility is further enhanced by four-wheel steering with dual-drive. Thanks to the rear wheels’ swivelling ability of over 100 degrees, the truck is easy to manoeuvre even in tight spaces. In addition, when reversing, turning begins immediately without the need to push back. Another important feature is the Cat Responsive Drive System (RDS), which monitors and instantly reacts to changes in the speed of pedal movement. RDS constantly adjusts performance parameters so all actions are smoothly controlled – including starts and stops. This intelligent system adapts to the truck’s speed, so the driver sees better truck handling at low driving speeds and in high-precision lifting tasks. On the other hand, it makes the truck very fast and efficient then necessary, utilising its full performance. A winner in every way!